Soul Eater: Soul Eater Manga Art, Soul Rock Festival Summer 2010,Mosh! 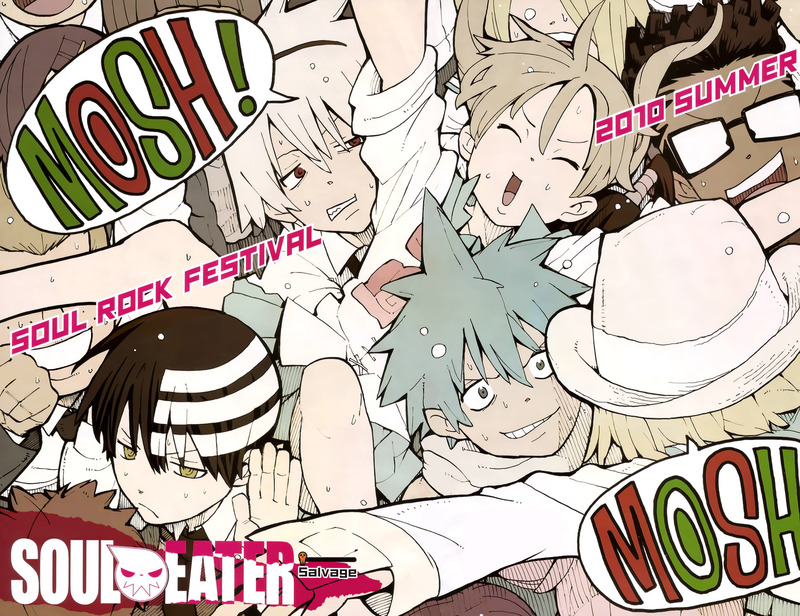 Minitokyo »	Soul Eater Scans » Soul Eater: Soul Eater Manga Art, Soul Rock Festival Summer 2010,Mosh! Haha. Cute wall. Maka is crowd surfing. Hahahaha MOSH! xD Awesome scan! Thank you so much! whoa it's the first time I've seen blackstar making that kind of face, a significant breakthrough? Soul Eater is my love! Aw, nice scan ^^ Thank you for sharing! Death the Kid's expression is so cute. Thanks for sharing! Thanks for sharing, love this picture! Mosh pit? Thanks for sharing!